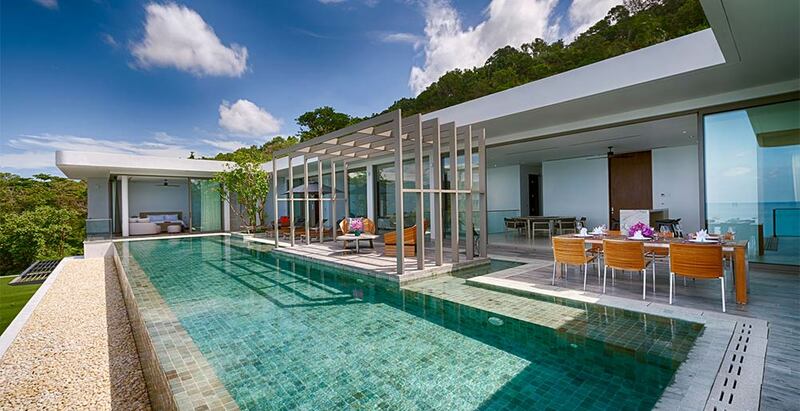 The Penthouse Residences at Malaiwana are vibrant four-bedroomed holiday residences just metres from picture-perfect Nai Thon Beach. They are modern, fresh looking, conveniently laid out on one floor with elegant stairs or an elevator entrance. With panoramic sea views from their hillside location, the Penthouse Residences are ideal for families or groups of friends seeking total serenity and five-star hospitality. Refresh in the private 20-metre pools, relax in the media room or retreat into one of the lavish bedroom suites. After an early evening stroll on the beach, head back for sunset cocktails in the pool sala, and entertain in style in the open-plan dining and living areas while a team of full-time staff, including a chef, provide warm, professional service.